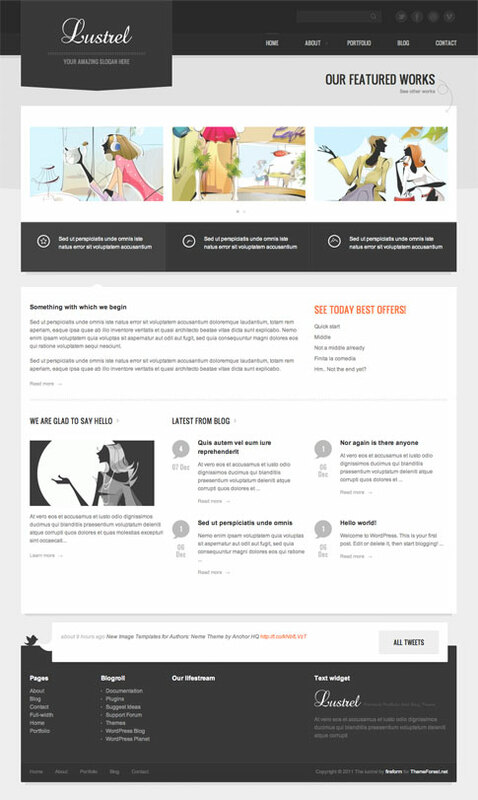 Lustrel premium theme comes loaded with WordPress 3.2+ features and is a clean and modern multipurpose WordPress theme preferably designed for portfolios, designers, or agency websites. There are four basic templates available to create your own pages. There are featured image slider on the homepage and the slider for images on your portfolio item’s page. There are also plenty of other awesome features that Lustrel WordPress theme comes loaded with, so make sure to spend some time looking through that list below before clicking on the live demo link. Come back and check out the showcase as we find more sites from around the web using Lustrel.